High-quality oil is pivotal to keeping your vehicle running in top shape. It is recommended that you have your oil changed regularly and that you use factory grade oil best suited to your Nissan’s year and model. For Nissan drivers in the Las Vegas area, the best bet to getting a proper oil change is to bring your vehicle to United Nissan. Our Factory Certified Technicians will only ever use Genuine Nissan fluids and parts to restore your vehicle to exact factory specifications. Our team of experts knows your Nissan inside and out. We are always up to date on the latest Nissan standards and procedures. No aftermarket shop or products can compare to what you’ll find here at our dealership. The recommended mileage point to change the oil in your vehicle will be determined by its specific make and model. Consult your owners manual to determine how often it is suggested to change your Nissan’s oil. Your Nissan’s Owner’s Manual oil change mileage point is a suggestion, and how frequently and heavily you drive your vehicle will also affect how often you need your oil changed. 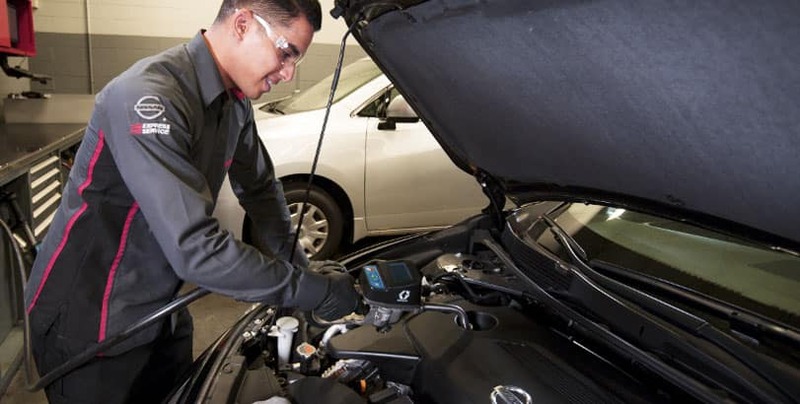 Our knowledgeable Service Advisors can help you determine if you should schedule an appointment or swing by our Service Center and have our team of Certified Nissan Technicians takes a look at your vehicle. Regardless of how you drive your car, truck, crossover, van, or SUV, you should have your oil changed at least twice a year. This is because as the oil ages, it becomes less effective. If the oil is too old, it won’t get your engine warm enough. 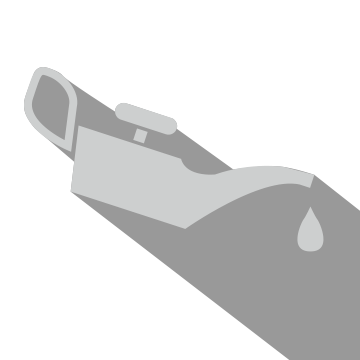 This can lead to excess moisture forming in the engine that will not be removed, ultimately shortening the lifespan of your vehicle. Unsure when your last oil change was or if your vehicle needs oil service? If you have an Altima or Maxima you can read more about our specialized services at the previous links! it is time to have your Nissan’s oil changed, schedule an appointment with United Nissan today!